35% OFF! 1000W Power JK-8 Vacuum Cleaner worth Rs. 6,500 for just Rs. 4,250 inclusive of Warranty! This is an ideal vacuum cleaner that effectively vacuum up the dust and dirt from floors and other surfaces as well. Hand vacuum for the vacuuming of furniture, upholstery,frames,curtains,books,computers, cars and plenty more. A great choice for a quick & powerful cleaning of your home. Vouchers purchased are valid till 30th of December 2016. 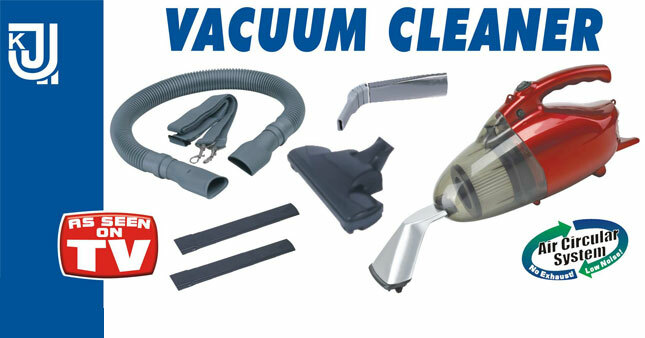 Voucher is valid only for one JK-8 Vacuum Cleaner.